Ibuprofen has been taken, recovery naps have been had, and six days after Affiliate Summit West wrapped up for 2017, we’ve had time to put together the top lessons learned from the affiliate industry’s largest conference. Here are some of the top takeaways from Affiliate Summit West 2017. If you were there, you’ll probably appreciate and agree with most of these. If you weren’t in attendance, consider this a preparation guide for next year’s conference. There Are So, So Many Parties- On top of the conference-sanctioned events and parties after the expo floor closed for the day, a huge number of companies sponsored parties at clubs or get-togethers in their suites. In the course of three nights, I was aware of 15 different events. It’s likely the actual number was way higher. Unless you can effectively divide and conquer as a team, here are two events that stood out not as a place to go get wasted at the club, but to meet new clients and get business done. The All Inclusive Marketing Blogger Meetup: If you are a blogger, this is the number one event to go to. It’s not at a club, so you can actually talk to people, and the crowd is business focused, super friendly, and there to strike a balance between having fun and justifying the cost of your flight to Vegas. The All Inclusive Marketing team did a fabulous job of not only getting a great crowd together, but executing a top-notch event. 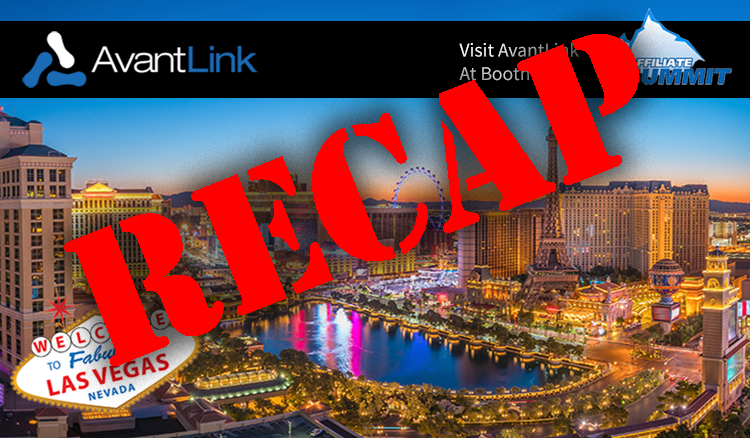 Such a good job, in fact, that AvantLink decided to sponsor this year’s event because it was so well done. JEB Commerce Meetup: The JEB Commerce team hosts an annual by-invite-only event at the the Todd English P.U.B. in the Aria. The event is way more relaxed than most of the mainstream parties that happen, but still includes a unique and lively atmosphere at a place that is all about a fantastic beer selection and not blasting music at near-illegal volumes. If you can get an invite from the team (just ask, they’re always open to requests), you’ll be joining a handful of industry-leading merchants, network reps (not just AvantLink), and even a few affiliates to spend some quality networking time with. There Is Way Too Much Lead Gen Nonsense: Ladies and gents, it’s time to call it like it is. The major problem with Affiliate Summit West, at least when you’re on the expo hall floor, is the insane amount of lead gen people in attendance. You become very good, very quickly at learning to basically ignore people who ask “do you have any offers?”. It’s also shocking to walk up and down the isles and see so many booths for white labeled pharmaceuticals and Russian dating site “affiliate” programs, but only three- yes, just three- booths were for companies explicitly focused on Cost Per Sale affiliate marketing. Who were those companies? 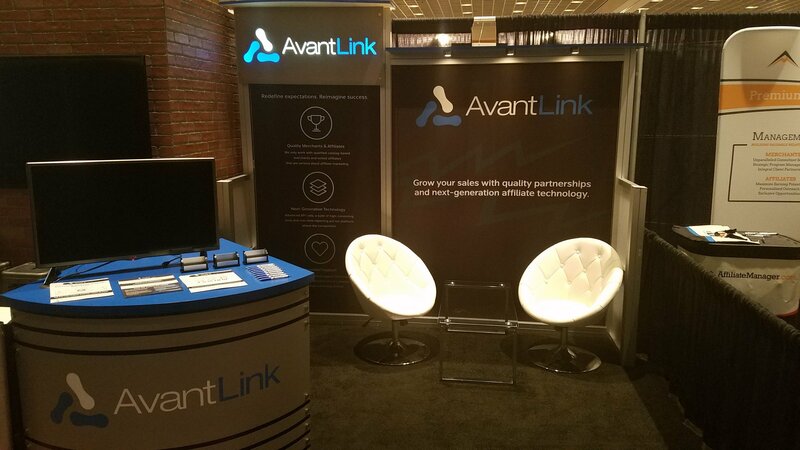 AvantLink, Affiliate Manager, and ShareASale. Attribution Data and Action On Attribution Data Are Two VERY Different Things: Attribution was once again the buzz word of the conference. Unfortunately, the idea that attribution is only visibility to how many affiliates and other channels were involved in a sale was still accepted as standard. Instead, attribution should be regarded as not only the data and insight into the affiliate channel’s impact on a sale, but the ability to reward multiple affiliates in real time if multiple affiliates were indeed involved in helping make that sale. There are many more conversations, lessons learned, and major takeaways at the end of a conference like Affiliate Summit West. These were our highlights; now tell us yours in the comments. What key items did you come back with from Affiliate Summit West 2017? Was there anything interesting that came up in keynotes? Just curious what major topics the discussion revolved around.